On Tuesday, August 4, 2015, the Physical Therapist Assistant program faculty from Florida National University (FNU) held a Body Mechanics and Ergonomics workshop for FNU’s Respiratory Therapy (RT) students. The workshop was conducted by Dr. Kelly Krenkel, PTA Program Director and her staff. RT students who attended the workshop were instructed on how to safely move patients and avoid injuries to themselves and to their patients. In addition, the workshop served as a way to foster interdisciplinary collaboration between health care professionals. 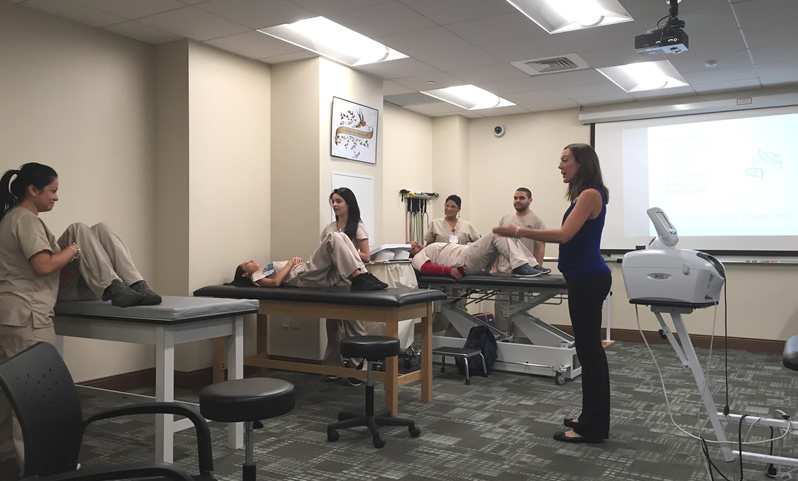 The workshop was conducted in the Physical Therapist Assistant program lab located in FNU’s Hialeah Campus.